Enter to win an ARC of The Ends of the World! 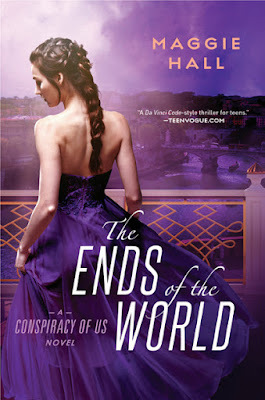 The cover for THE ENDS OF THE WORLD is here! For exclusive info on the cover and the book, check out the reveal. Meet me at the LA Times Festival of Books on Sunday, April 10! See "Events" page for more details. MAP OF FATES is here! Get it wherever books are sold. 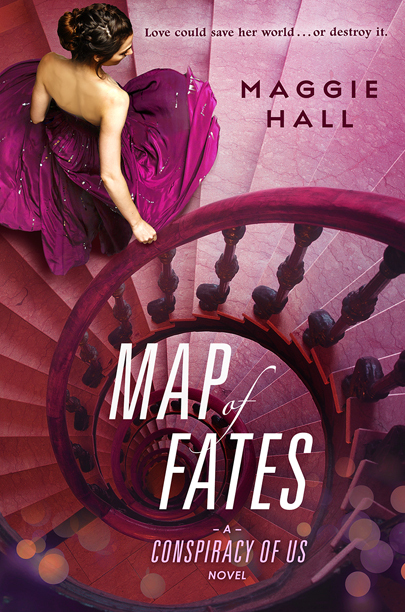 The MAP OF FATES cover is here! 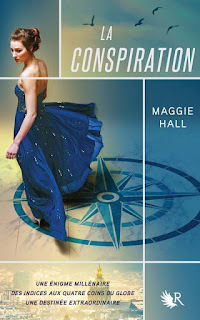 And so is the paperback cover of CONSPIRACY! Don't they look so pretty together? 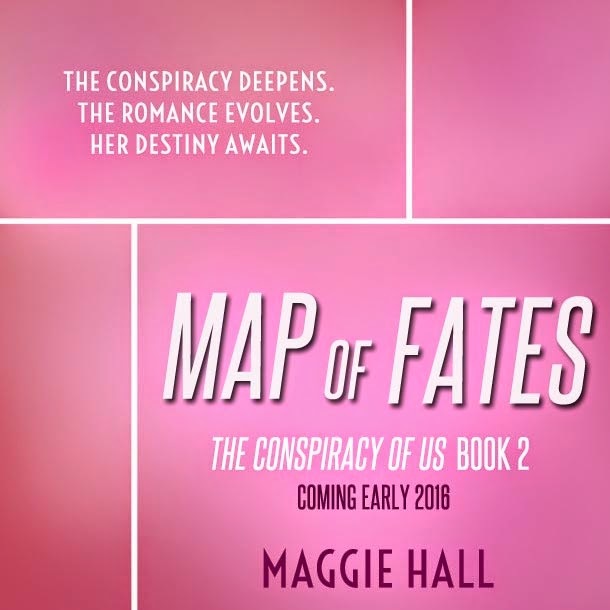 See the exclusive cover reveal for MAP OF FATES on USA Today's Happy Ever After! MAP OF FATES is also up for preorder on Amazon, and will be available on other retailer sites shortly! LA CONSPIRATION is now out in France! If you're in the Atlanta, Washington DC, LA, or San Francisco areas, come see me and the wonderful Morgan Rhodes, Rachel Hawkins, Seth Fishman, and Jessica Khoury. We'd love to meet you! 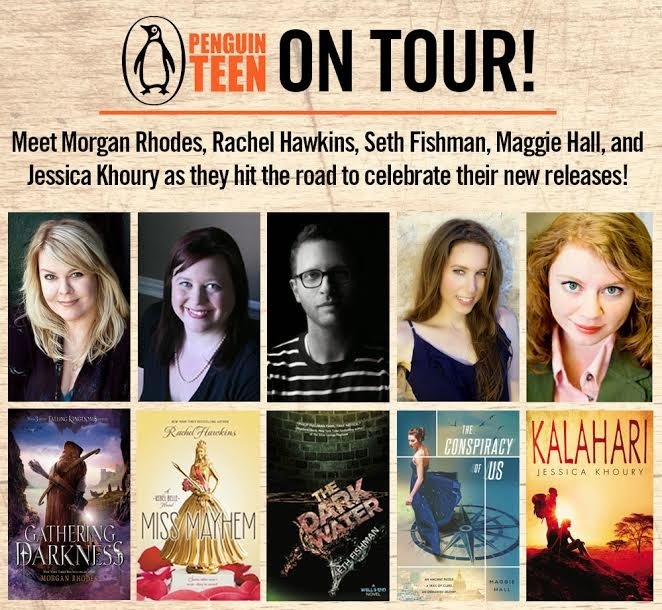 Get ready, world, because Penguin Teen is taking this show on the road this spring! We’re so excited to have our first official Penguin Teen group tour kicking off March 3! Here is your chance to meet Morgan Rhodes (Gathering Darkness, book 3 of the Falling Kingdoms series), Rachel Hawkins (Miss Mayhem, sequel to Rebel Belle), Seth Fishman (The Dark Water, sequel to The Well’s End), Maggie Hall (The Conspiracy of Us) and Jessica Khoury (Kalahari) and talk to them in person about their amazing books! Follow along with the tour and share your own experiences and photos on social using #PenguinTeenOnTour! Find out more about the NOVA Teen Book Festival events here! Foreign rights for THE CONSPIRACY OF US have sold in France! Foreign rights for THE CONSPIRACY OF US have sold in Germany, Greece, and Turkey! 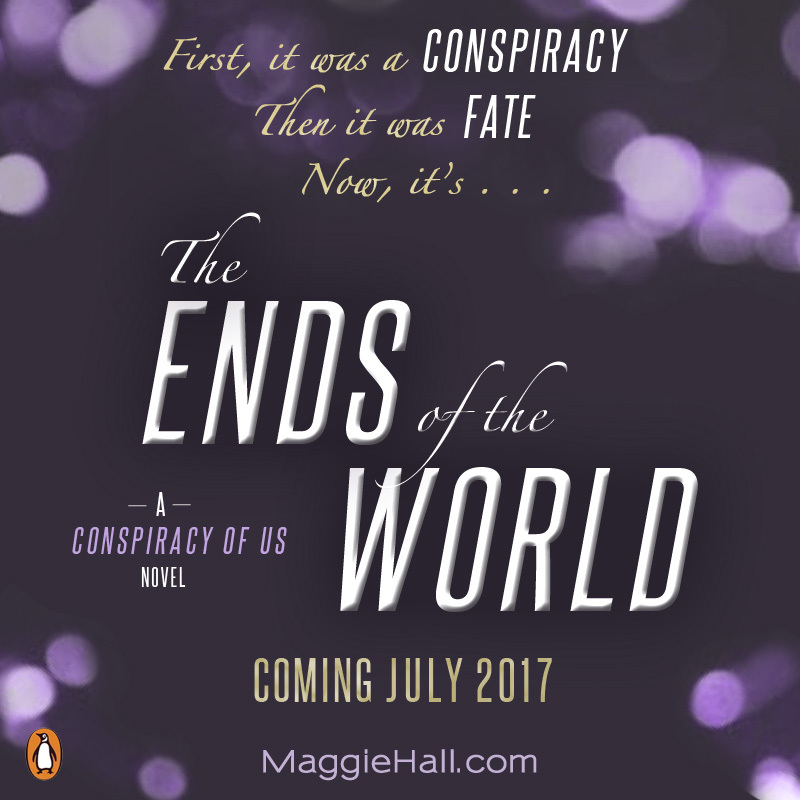 THE CONSPIRACY OF US is going to be an audiobook, read by the fabulous Julia Whelan! See the cover for THE CONSPIRACY OF US on RT on 9/9/14! 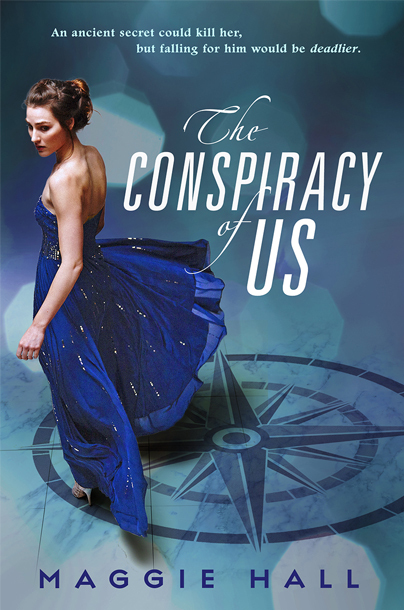 THE CONSPIRACY OF US is available for preorder on Amazon! I'm a Pitch Wars Mentor for 2014. See my wishlist here!